How To Check 4G SIM GP, Robi, Banglalink, Airtel, Teletalk! Bangladesh all mobile operators Grameenphone, Robi, Banglalink, Airtel has already started four generation “4G” service in the last month (19 Feb 2018). 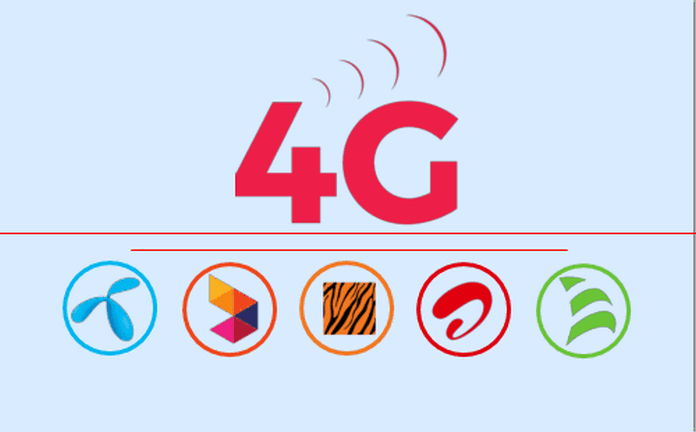 After receiving the 4G license Bangladesh top three mobile company Grameenphone, Robi+Airtel, Banglalink, start the 4G network service in the selected areas. If enjoy 4G service customer need 4G supported Handset and SIM card, to the day we share how to check your SIM and mobile 4G support or not. Teletalk 4G service already successfully started, please stay with us we have to publish all telecommunication news and offers, please check 4G SIM. How To Check 4G SIM GP, Robi, Banglalink, Airtel, Teletalk? Robi 4G SIM replacement price is Tk 100. Airtel 4G SIM replacement price is Tk 100. Teletalk 4G SIM replacement price is Tk 70. How Many Prices New 4G SIM GP, Robi, Airtel, Banglalink, Teletalk? Grameenphone 4G new prepaid SIM price is Tk 100. For PostPaid Click Here. Robi 4G new prepaid SIM price is Tk 99. For PostPaid Click Here. Airtel 4G new prepaid SIM price is Tk 99. For PostPaid Call 786. Teletalk 4G new prepaid SIM price is Tk 0. (Upcoming) For PostPaid Call 121. Thanks for the visit and browse our website if you need any help with this post just comment us we response your comments.